The Coronado National Forest is made up of 1.78 million acres of land, and is spread throughout southeastern Arizona and Southwestern New Mexico. If you are looking to explore beautiful areas close to Tucson, there are two parts of the Coronado National Forest that you may want to focus on. 25 miles south of Tucson lies Madera Canyon, Madera Canyon makes up a large portion of the northwest side of the Coronado National Forest, allowing Tucson visitors easy access to some of the most beautiful parts of the Santa Rita Mountains. The main campground in the Madera Canyon area is Bog Springs Campground. The campground is located 12.5 miles from the Madera Canyon turnoff and includes tent camping, and RV camping for campers that are 22 feet and less. There are toilets and drinking water, but no RV hook ups. There is no firewood available on site, however you are able to bring your own firewood and charcoal for cooking purposes. This is a pack in and pack out area with a limit of two vehicles and 10 people per site. Recreational opportunities include hiking from the three trails that leave from the campground. There are also mountain biking trails and a short nature trail that leaves from the nearby Madera Picnic Area.The site is known for its bird watching with many birds that are both permanent and migrating through the area. Birds – Hummingbirds, elf owls, painted redstarts, and sulfur bellied flycatchers. Plants – Prickly pear cactus, Douglas firs, and a diverse species of water plants alongside streams and rivers. Animals – White-tailed deer, mule deer, squirrels, rabbits, and wild turkeys, bobcats, ring-tailed cats, coati, and black bears. Another beautiful area in the Coronado National Forest lies just outside of Tucson. 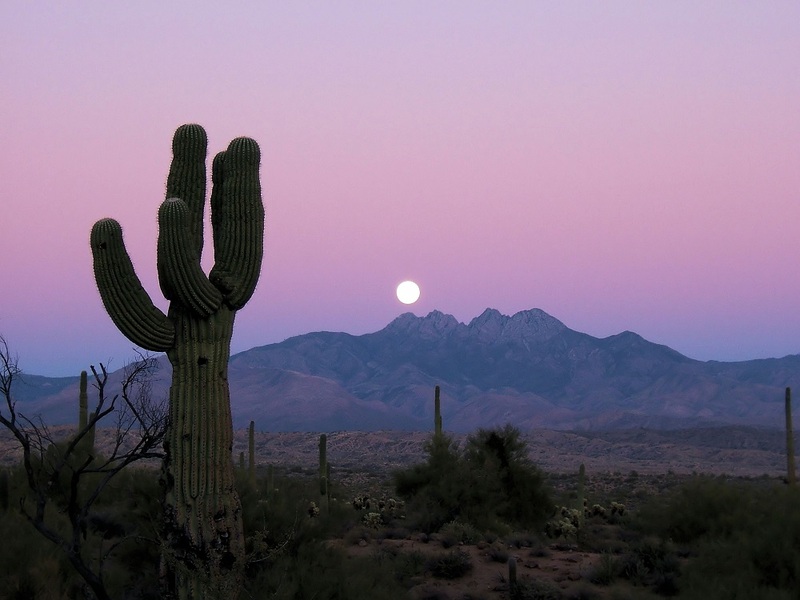 The Sabino Canyon is in the eastern foothills of the Santa Catalina Mountain Range. Once you get to Sabino Canyon there is plenty of hiking and exploring to do. You can choose to do this by taking a tour on the Sabino Canyon tram ride, or you can spend time exploring on foot. There is no camping allowed in the Sabino Canyon area. Recreational opportunities consist of nature viewing from the trams and shuttle buses in the area, picnicking, hiking, bicycling, or digging for archeology finds. There are two main trails in the Sabino Canyon area, these are Sabino Canyon Trail, and Bear Canyon Trail. Both trails wind through the unique environment that makes up the Sabino Canyon area, including riparian and desert eco systems. Trail maps can be found at the visitors center. Birds – Hooded orioles, hummingbirds, American dippers, buntings. Plants – In the riparian areas you may see willows, cottonwoods, and walnut trees. In the foothills you are more likely to see desert plants such as brittlebrush, verde, and saguaro. Animals – White-tailed deer, coyotes, foxes, bobcats, and rattle snakes, can all be seen throughout the canyon. To Access any areas of the Coronado National Forest you will need the appropriate passes, these passes can be purchased both online or on site at the ranger stations. Costs to visit the areas are $5 a day per car, $10 a week per car, or $20 for an annual pass. No matter which areas of the Coronado National Forest you decide to explore, you are sure to enjoy your time hiking, biking, camping, and exploring.